Oral hygiene is an important part of everyday life. Brushing, flossing, and rinsing your mouth will benefit your teeth and overall health. 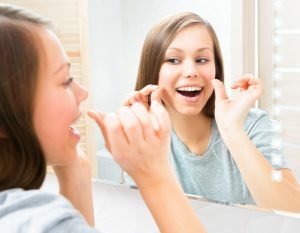 Many people do not realize that flossing helps to prevent the development of diseases like cancer. Removing bacteria from the mouth will keep your breath smelling fresh as well. Here is a closer look at the importance of maintaining good oral hygiene. Brushing and flossing will prevent many negative health conditions. When bacteria are allowed to thrive in the mouth, your immune system is constantly at war. This raises your blood pressure and leaves your body vulnerable to other problems. Chronic gum disease makes diabetes difficult to control as well. Infection can cause insulin resistance, which disrupts your control of blood sugar. The mouth is a moist environment that is ideal for bacteria. Also, it provides a tunnel to your stomach and to your bloodstream. Maintaining proper oral hygiene will limit the spread of bacteria and keep you healthier. The American Dental Association recommends brushing your teeth twice each day with a soft toothbrush. You should use gentle strokes throughout your mouth so that all debris can be removed. Brushing helps to scrape away plaque buildup that can lead to cavities. Drinking plenty of water is good for your oral hygiene as well. This increases your saliva production, which acts as a natural disinfectant. Keeping items out of your mouth will prevent the spread of bacteria as well. Upholding positive oral hygiene is a key part to unlocking better overall health. For more tips or to learn more simple ways to pack the most punch within your oral hygiene routine, consult with Dr. Dana Walters. He is always willing to take time and discuss ways to improve your smile and well being.